Choosing an OB/GYN doctor requires careful consideration. 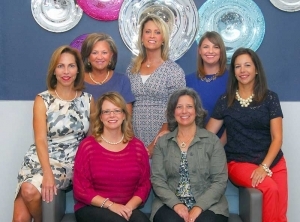 All Women OB/GYN is a group of six female board certified obstetricians and gynecologists. We offer a full range of women’s health care services at our Dupont Circle office and are able to deliver at Norton Women’s and Children’s Hospital and Baptist East Hospital. We strive to provide the highest quality medical care for women by women with compassion and sensitivity. We are physicians committed to knowing each of our patients and their individual health needs.